Thao (aka Thao Nguyen of Thao & The Get Down Stay Down) played a series of dates with Mirah and The Most of All. The two sang their own songs as well as each other's. 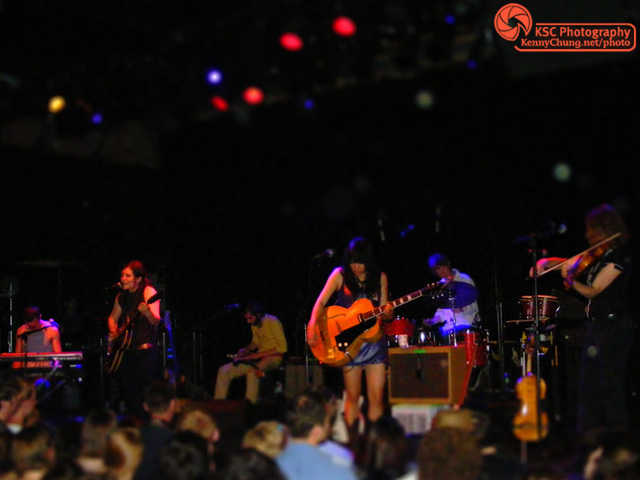 These photos are from the Music Hall of Williamsburg, in Brooklyn. 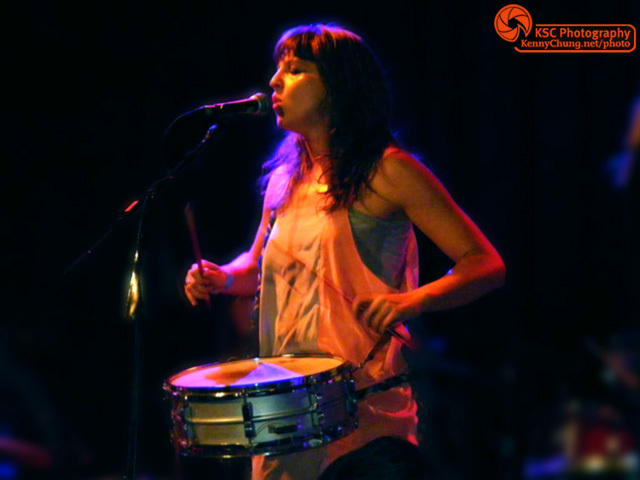 For videos, check out my Thao & Mirah Music Hall of Williamsburg playlist. 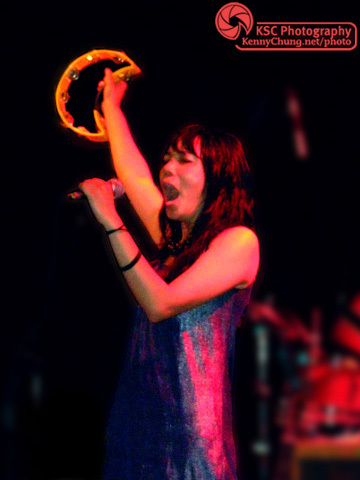 One of the many percussionist drummers from the all-female band Chica Vas. Didn't get many other good shots of the group. 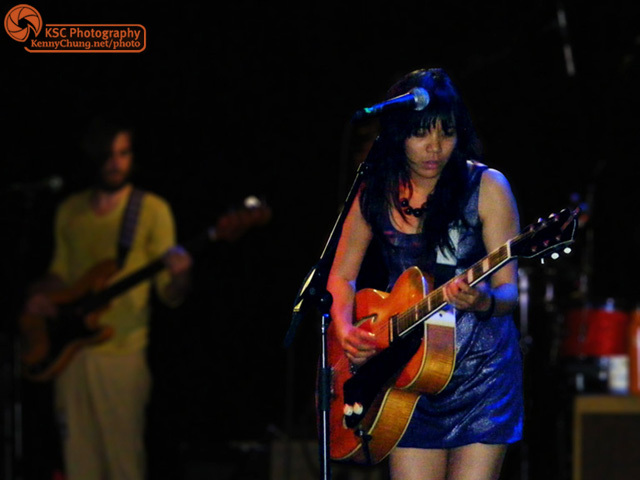 Thao (Nguyen) taking the stage with her hollow-body guitar. 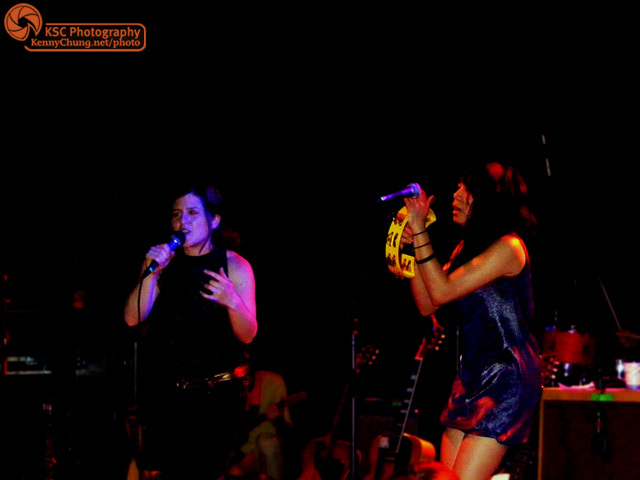 Mirah singing one of her songs with Thao playing rhythm guitar and providing backup vocals. Mirah and Thao performing along with The Most Of All full band. Mirah and Thao closing out their set at the Music Hall of Williamsburg. Thao singing at the top of her lungs at the end of the great joint set.